Today is turning out to be a pretty epic Thursday. 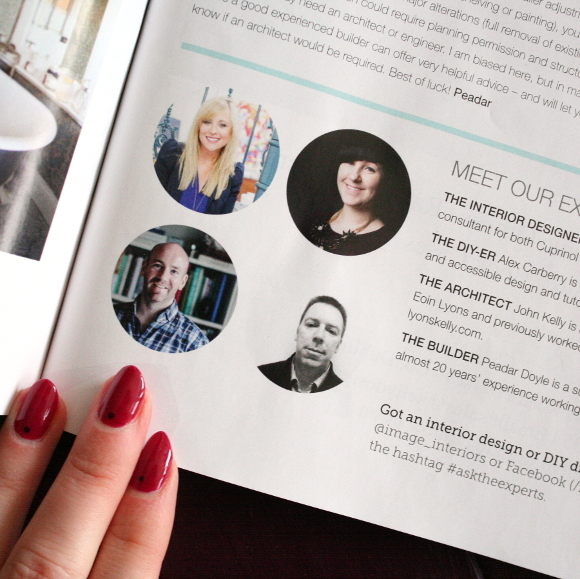 Not only is it ludicrously sunny outside [PLEASE DON’T JINX IT], but the March / April issue of Image Interiors & Living is out now! 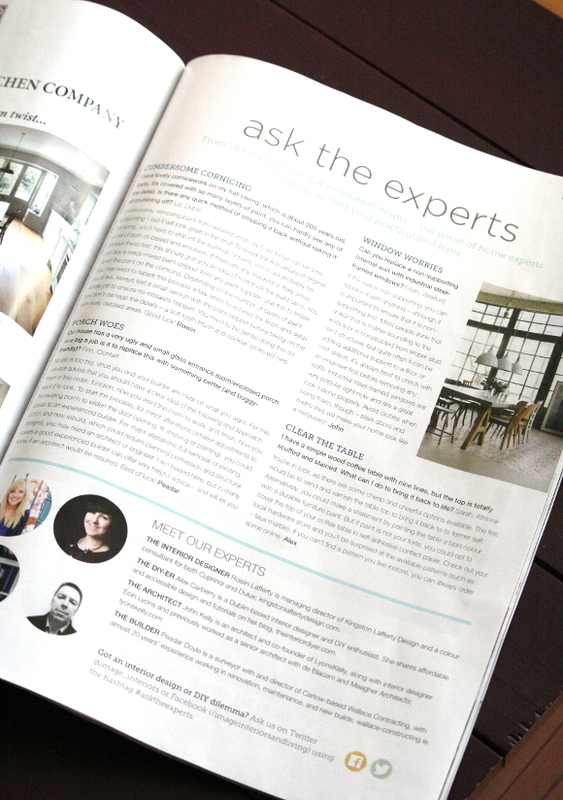 For the latest issue, I was asked by Nathalie to contribute some of my DIY knowledge towards the new ‘Ask the Experts’ feature. I’m actually struggling to write something after that sentence. I’ve sat here at my desk for 30 minutes, trying to think of something profound to write when in all honesty I can’t even sentence. I’m just feeling very lucky / excited / humble / excited. To be included along side the likes of Roisin [!!! major design crush], John and Peadar, I’m having big time feelings of just woah right now. I can’t wait for my mom to embarrass me in front of her coworkers for the duration of this issue. Thank you, Samedi! I hope you enjoy it, and the rest of the magazine of course. This issue is a knock-out and I couldn't be happier to be part of it! Oooh another congratulations to you! You're an EXPERT!! This year is pretty damn successful for you so far, and we've only had two months of it! Well deserved too, I might add. Still feeling very lucky and partially dumb-struck to be part of the Ask the Experts panel. Woop! HOLY CRAP! So much fun, great exposure.